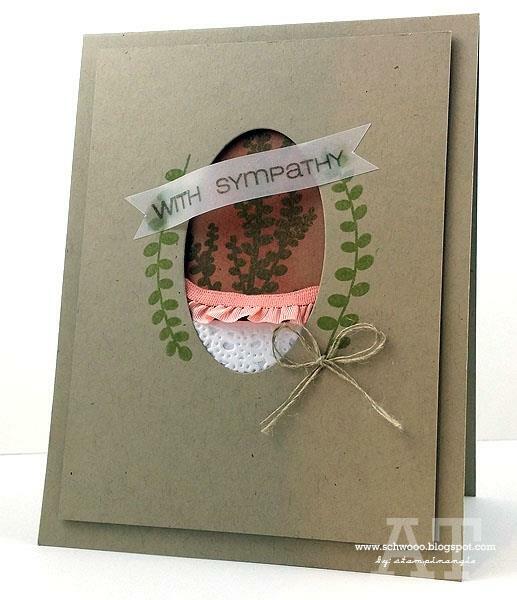 Sympathy cards are usually tough for most cardmakers. Angie has created a really pretty one using Casual Comfort and Oval Tag Fri-Dies. I love how she curved the little vine around the oval cut out. It frames it so nicely, and the vellum tag is a really great touch. Angie prepared a wonderful tutorial for you! Such a pretty card...love the design.